For almost 40 years, Ocean Alliance has made a positive difference in this world. Our dedicated staff works hard to carry out its on-going mission and to do so with scientific integrity foremost. We pledge our continued commitment to help protect and preserve the marine environment on which the lives of all of us, people as well as whales, are utterly dependent. Iain met Roger Payne at his whale camp in Argentina in the 1980’s and has worked with him ever since. 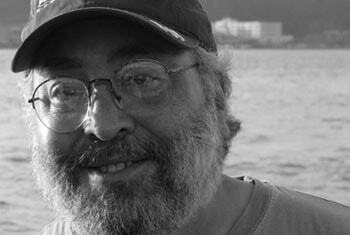 He has led research expeditions all over the globe for the last 20 years. In 2008, Iain secured the purchase of the iconic Tarr and Wonson Paint Factory in Gloucester, MA as an oceanographic research and education center and the new headquarters of Ocean Alliance. Roger Payne is best known for his discovery that humpback whales sing songs, and for his theory that the sounds of fin and blue whales can be heard across oceans Roger has studied the behavior of whales since 1967. In addition to his discovery about humpback whales, he theorized correctly that the sounds of fin and blue whales are heard across oceans. 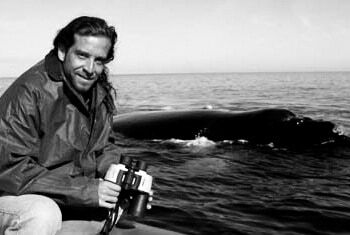 He has led over 100 expeditions to all oceans and studied every species of large whale in the wild. 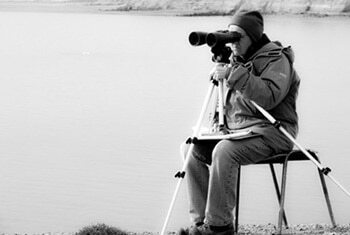 He pioneered many of the benign research techniques now used throughout the world to study free-swimming whales, and has trained many of the current leaders in whale research in America and abroad. He directs longterm research projects on the songs of humpback whales, and on the behavior of 1,700 individually known Argentine right whales — the longest such continuous study. 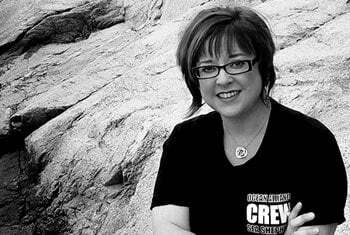 Dr. Vicky Rowntree is a co–founder of the Ocean Alliance and director of the Southern Right Whale Program. 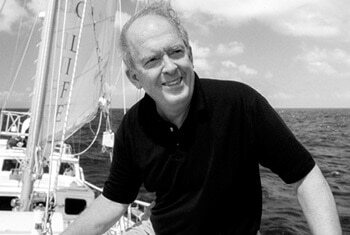 Before Joining Ocean Alliance she curated wasps for Howard Evans at Harvard’s Museum of Comparative Zoology and assisted C. Richard Taylor in experiments on the energetics of animal locomotion and thermoregulation at Harvard’s Concord Field Station. Mark has studied the arts, business, homeopathy and social sciences at the University of Cape Town, South Africa, South African College of Music, New England School of Homeopathy, North Shore Community College and Salem State College and holds a degree in Business Science. 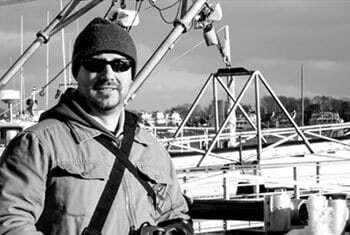 Andy’s career has focused upon the research driven conservation of marine mammals. 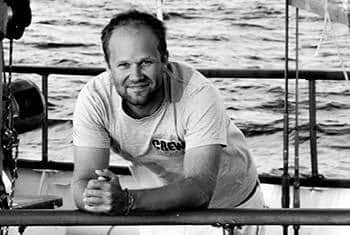 Since obtaining an MSc in Behavioural Ecology in 2012 he has conducted marine mammal fieldwork in the Gulf of Mexico, Australia, the Canary Islands, Alaska and Baja California; and has also worked in fisheries science including on a shark and tuna tagging program off of Senegal. His core research interests are in studying the most significant threats marine mammals face and the predator-prey interactions of deep-diving toothed whales, with science communication taking an important role in all of his activities. In 1987, while travelling with Iain Kerr in Patagonia, John Atkinson was introduced to Dr. Roger Payne. 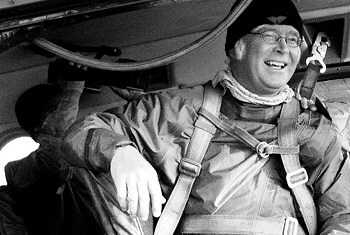 John assisted in an aerial photographic survey of the local population of endangered Southern right whales and the following year, he took over the role of primary aerial photographer. John has participated in numerous documentary and research expeditions around the world. John brings to the OA team his 20 years of experience as a master prototype engineer in the fields of aerospace technologies and product development. Keeping true to OA's mission of being on the leading edge of technology, John melds his passion for oceanographic research and conservation with his engineering skills to aid in the development of benign techniques of obtaining specimens. Rebecca is a visual artist with a passion for ocean conservation. Experienced in the field of education and public relations, she is committed to implementing programs that support the Ocean Alliance mission of protecting and preserving the marine environment. The location of the OA headquarters on Cape Ann offers Rebecca the unique opportunity to support this mission through community involvement and through the arts. Harry served as IT consultant to Roger Payne at his home office in Vermont from 2000 to 2007. 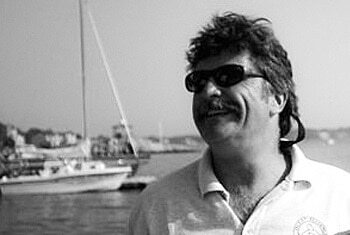 That period coincided with the Voyage of the Odyssey (2000-2005), and Roger's descriptions of the voyage inspired Harry to become a sailor and activist. 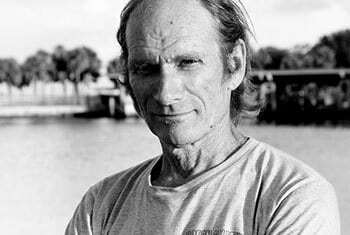 Harry has since served as volunteer crew on a variety of yachts and ships, including R/V Odyssey in Operation Toxic Gulf 2014, S/V Ceres of the Vermont Sail Freight Project, Sea Shepherd vessels M/V Farley Mowat and R/V Martin Sheen, S/V American Promise of the Rozalia Project for a Clean Ocean, and S/V Grace of Aberdeen of Ocean Conservation and Research. Dr. Mariano Sironi is a Founding Member and Scientific Director of the Instituto de Conservación de Ballenas (ICB), a non-profit organization based in Buenos Aires, dedicated to the conservation of whales and their habitat through research and education. He received a degree in Biology from the National University of Córdoba, Argentina, where he is currently an Associate Professor in Vertebrate Zoology. Dr. John Wise is the Principal Investigator of the Wise Laboratory of Environmental and Genetic Toxicology. He is a Professor of Toxicology and Molecular Epidemiology in the Department of Applied Medical Sciences, and Director of the Maine Center for Toxicology and Environmental Health at the University of Southern Maine. 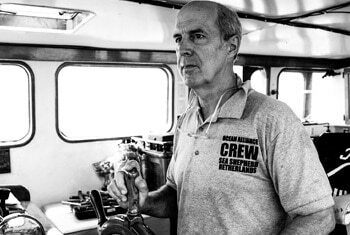 When Ocean Alliance purchased The Odyssey in December 1991 they inherited the engineer, now captain, Bob Wallace. 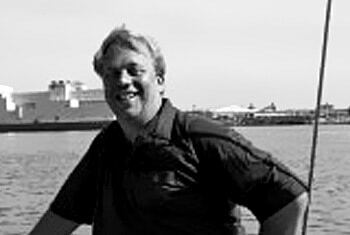 Bob had been working as the engineer and captain of The Odyssey since 1986 when the vessel was a private yacht. Bob has sailed The Odyssey around the Gulf of Mexico for the Ocean Alliance sperm whale research campaigns.